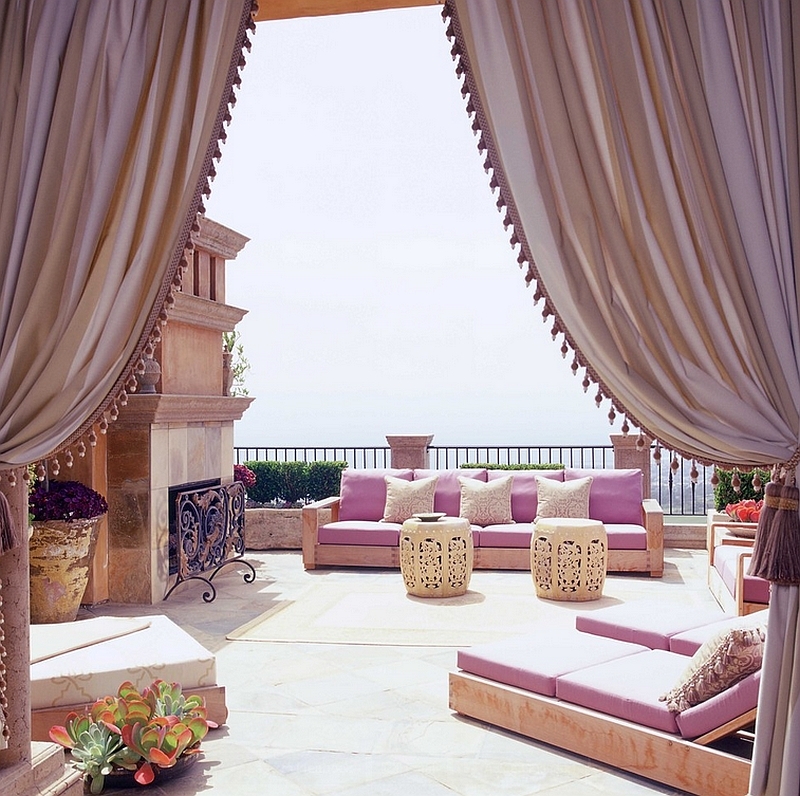 Over the last two weeks we have showcased some stunning Moroccan-inspired interiors that range from colorful living rooms to beautiful and mystical bedrooms. 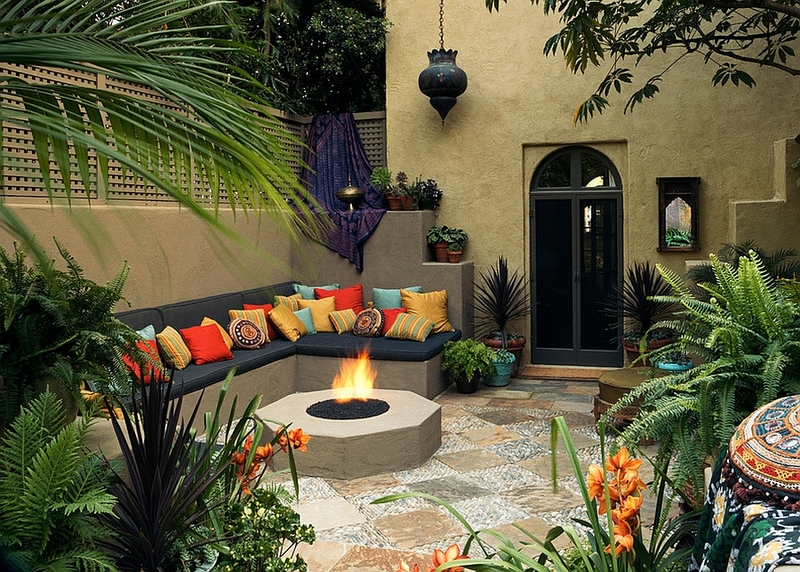 Today we take that journey a step further with Moroccan-style patios and courtyards that steal the show with their unbridled elegance, brilliant use of color and intricate patterns. 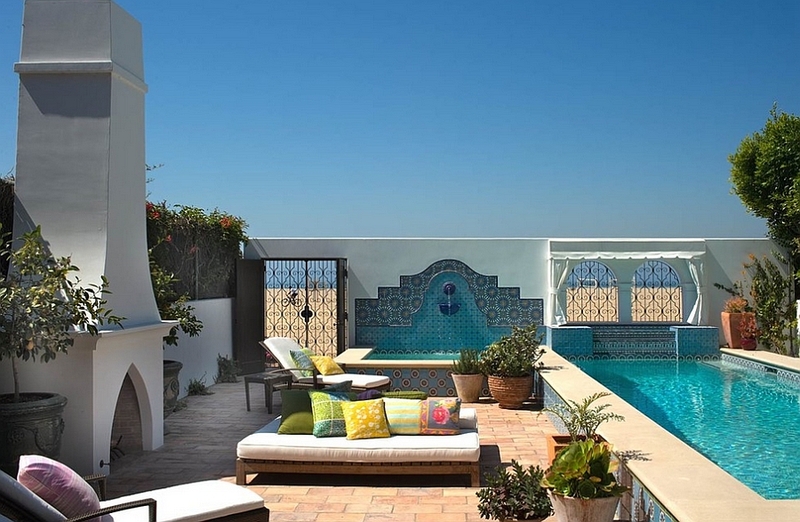 Much like the interiors shaped by Moroccan influences, modern patios infused with Moroccan elements are visually appealing and seem to bring home the charm of an exotic, Middle Eastern retreat. 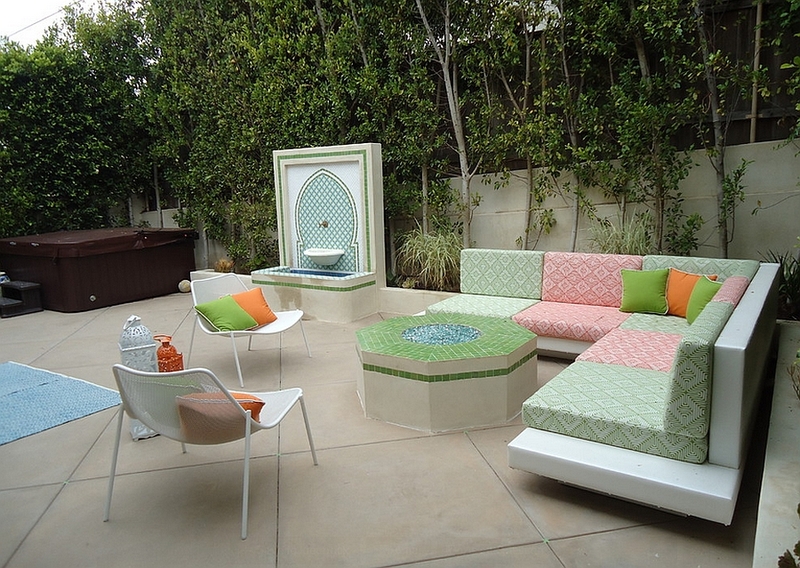 Turning towards Moroccan-inspired patios is far easier than giving your interior a Moroccan touch, and unlike in the case of many other design styles, you do not need extensive space for this bright and brilliant style. 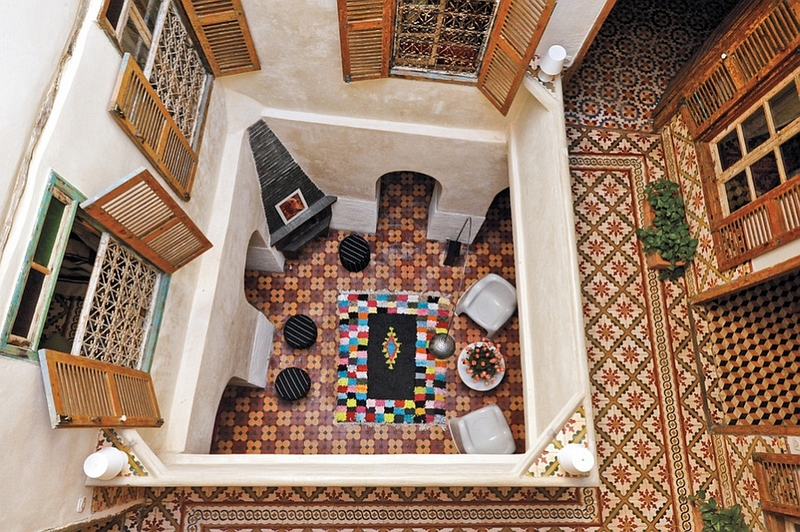 Complete with complex patterns and colorful tiles, the Moroccan patio is all about showcasing your unrestrained enthusiasm for life at its dazzling best! 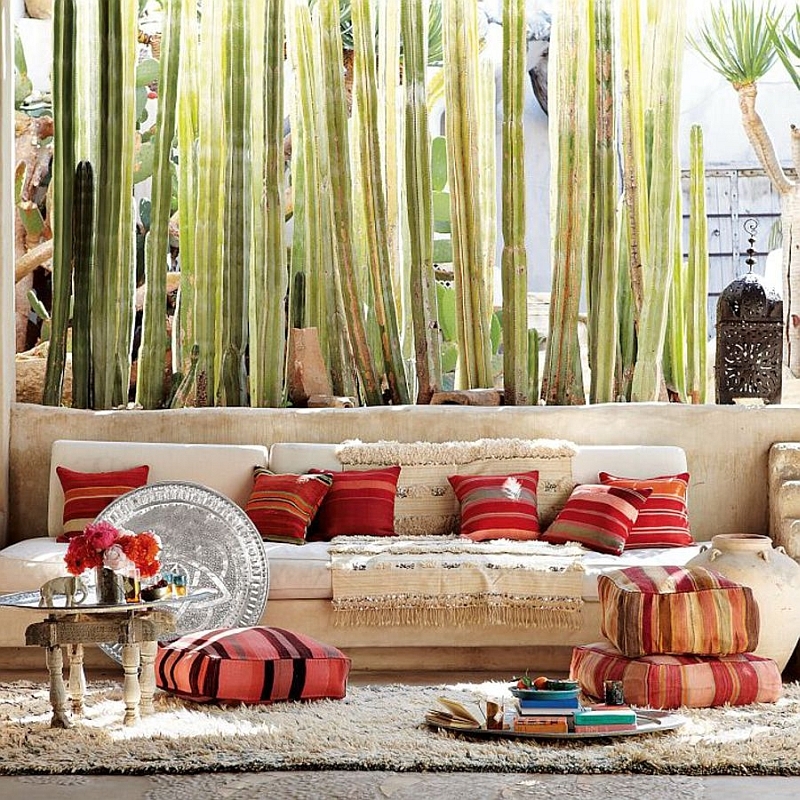 There are plenty of different approaches you can take to decorating your patio with Moroccan furnishings and accessories. 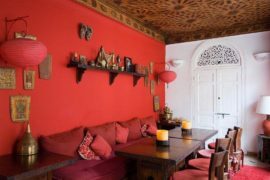 But the most brilliant one of them all is obviously embracing the style in its purest form, and that means bringing home some fascinating colors, amazing geometric patterns, funky ottomans and luxurious fabric! 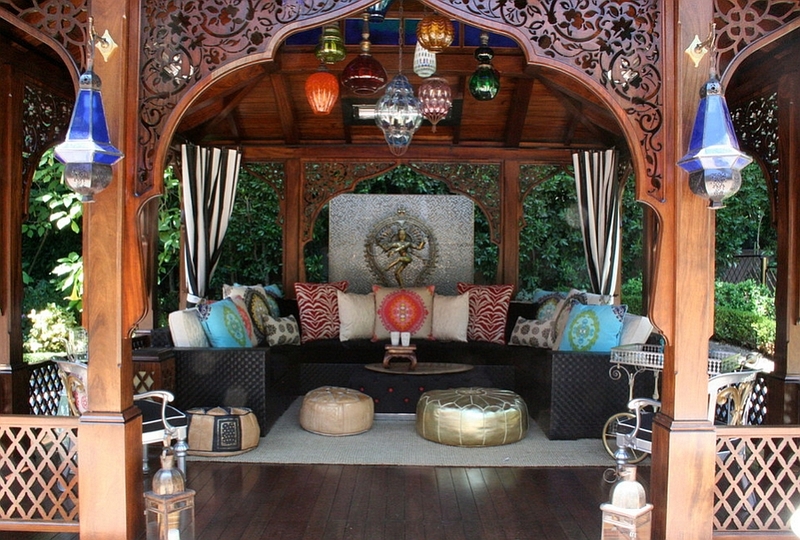 Obviously that doesn’t sound bad at all, and you can further turn your patio into a serene and stunning personal oasis by adding a daybed in the classic Moroccan style. 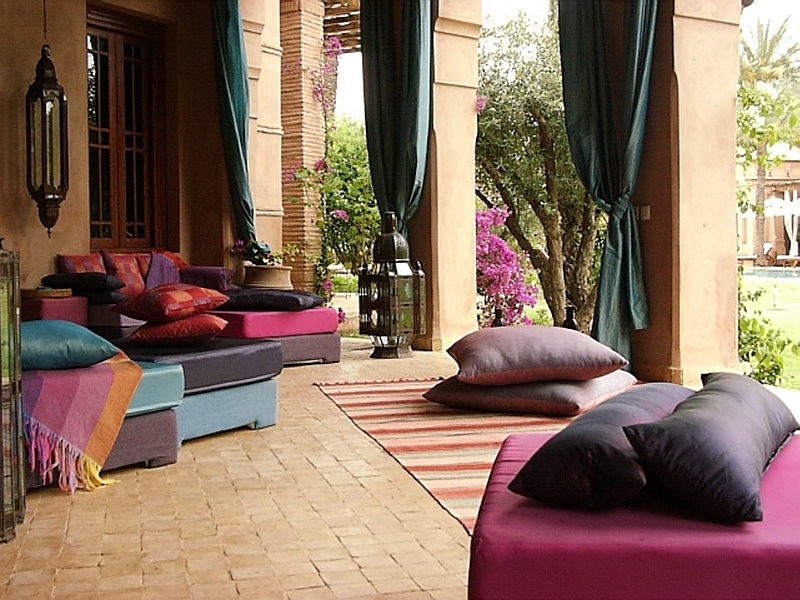 This also gives you an opportunity to throw in some comfy rainbow-tinted throw pillows, giving the patio that authentic Moroccan appeal! 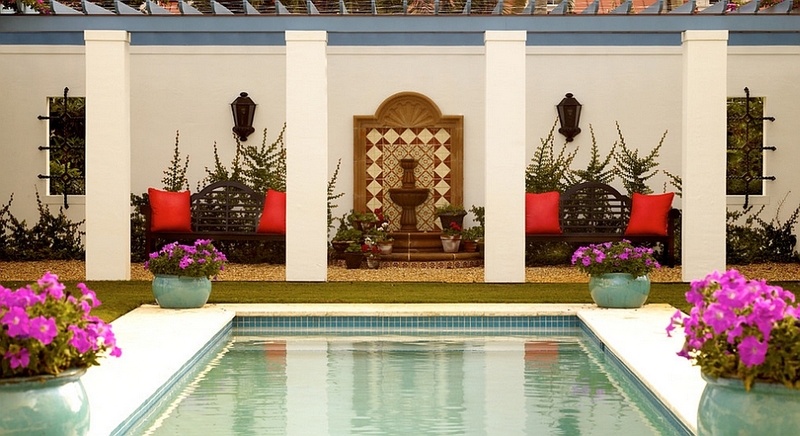 While most of us find it easier to incorporate a Moroccan-inspired patio, others might have enough space to add a central courtyard to their home. 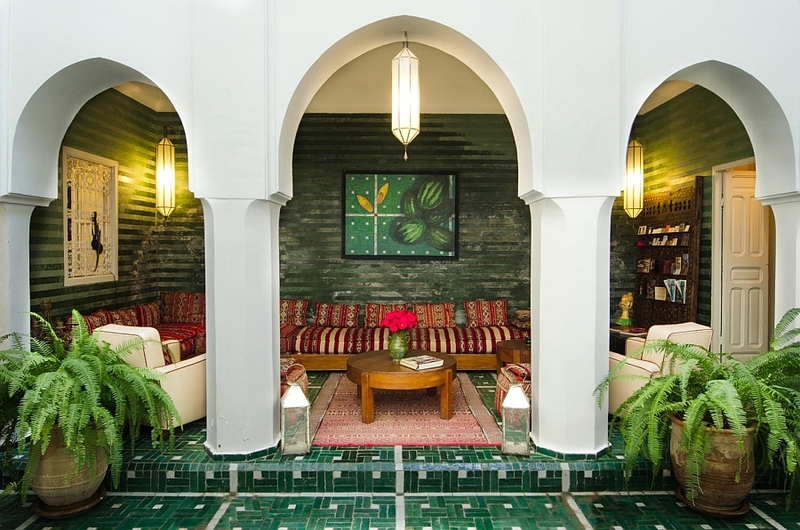 Visually enchanting, a Moroccan-themed courtyard generally features bright, colorful tiles, a water feature at its heart and some natural greenery that adds to the overall ambiance. 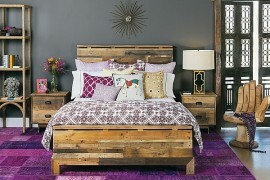 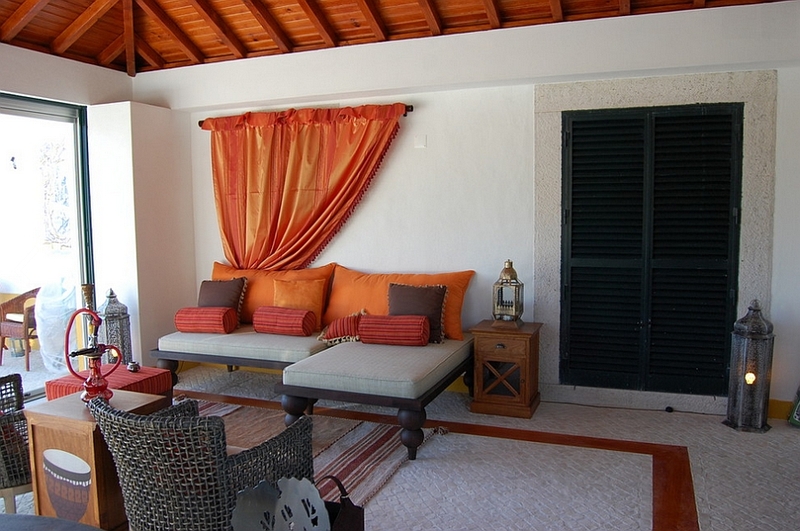 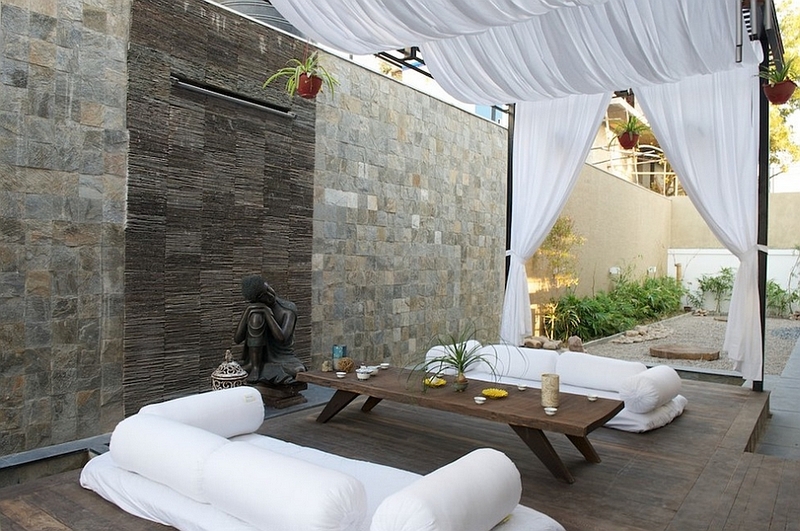 Once again, silken fabric, floor cushions and lantern-style lights help elevate this look to a whole different level. 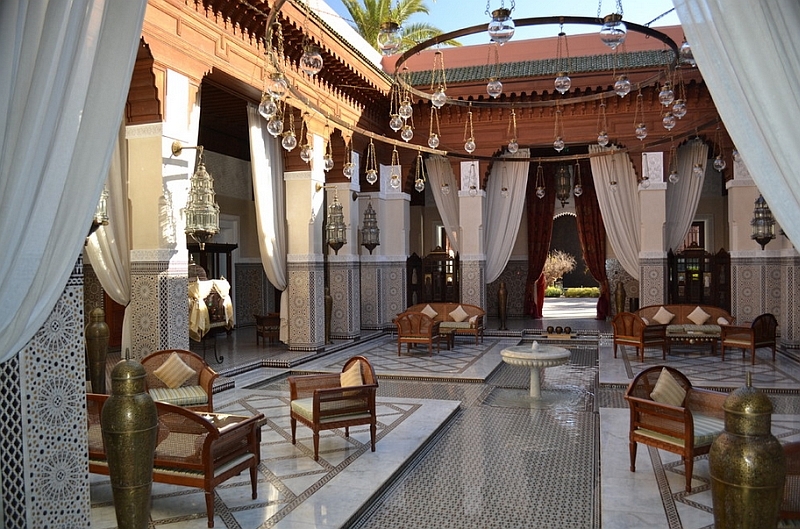 Not all of us are comfortable enough to completely commit to a theme, and when it comes to a style that is as exotic as ‘Moroccan’, it is obvious that we want to test the waters before taking the plunge. 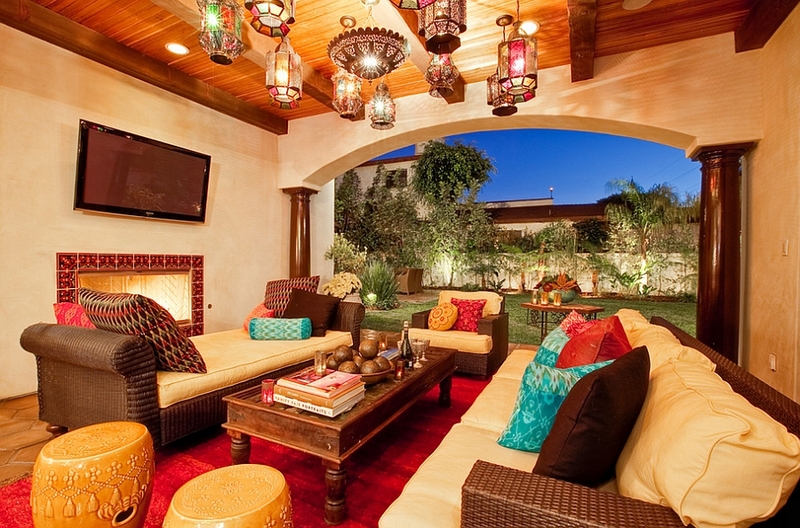 You can begin by giving your modern patio subtle Moroccan accents in the form of trendy lighting and cool ottomans. 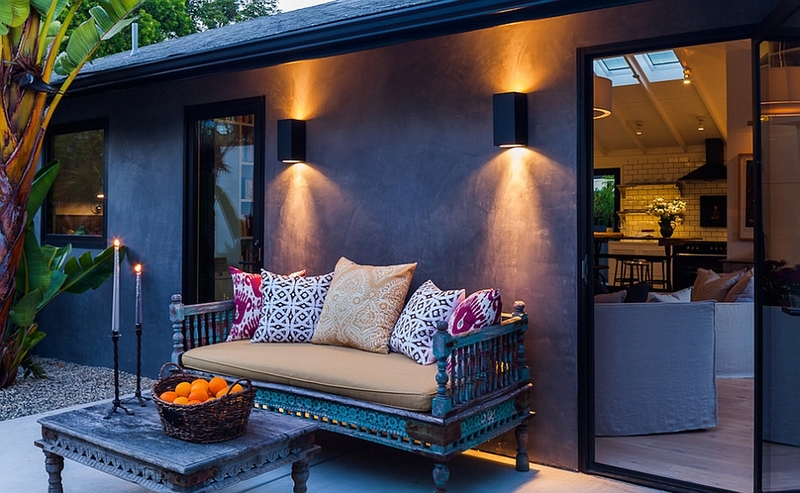 Most often, these will fit right in with your contemporary outdoor landscape, and the glittering lights will add to the dramatic appeal of the setting. 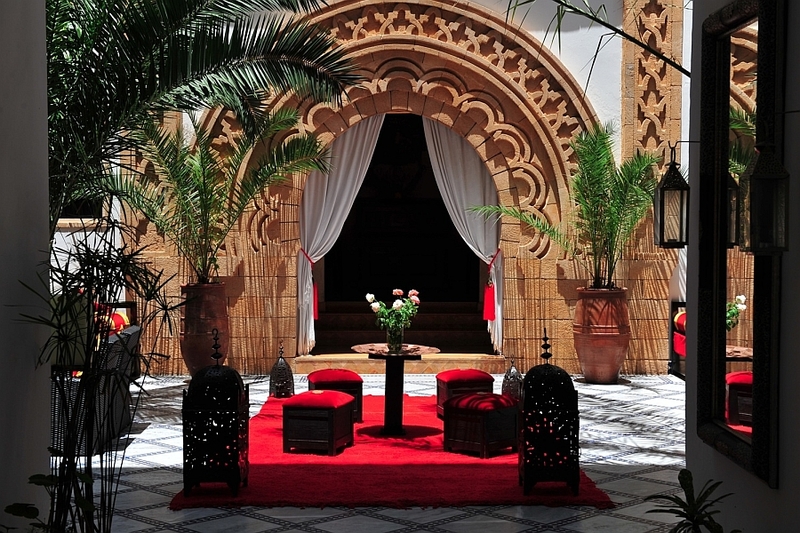 This is also the best way to find that perfect balance between the chic urban look and the audacious Moroccan style. 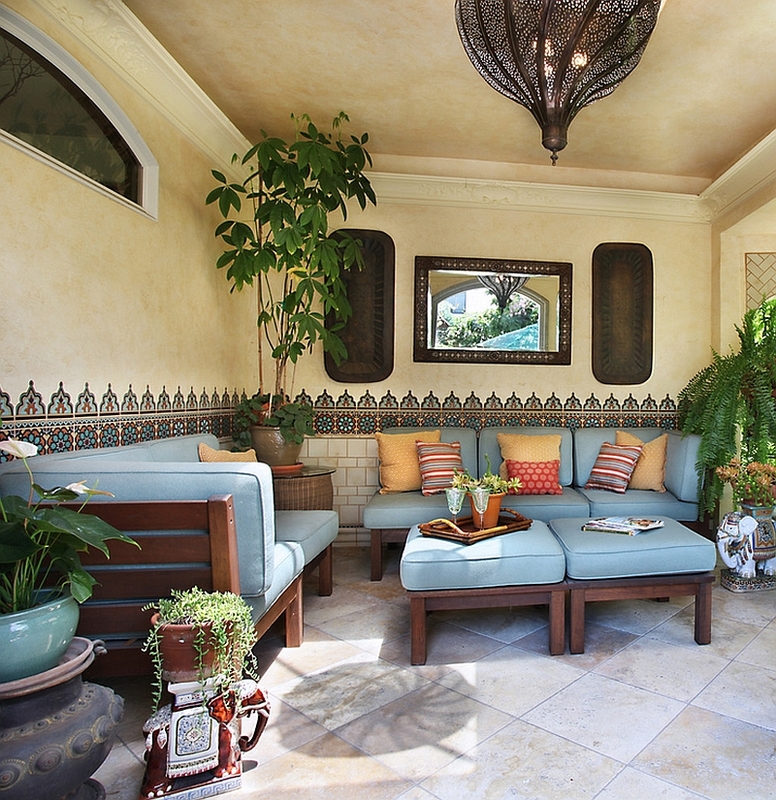 Another smart compromise is to give your patio a distinct Mediterranean style and let small Moroccan overtones creep in over time. 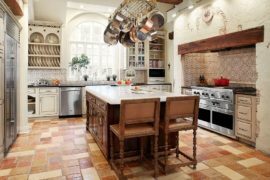 Both styles have many similarities, and this also allows you to use lovely Moroccan patterns, which you might be incredibly fond of without having to add bright reds and vivacious purples. 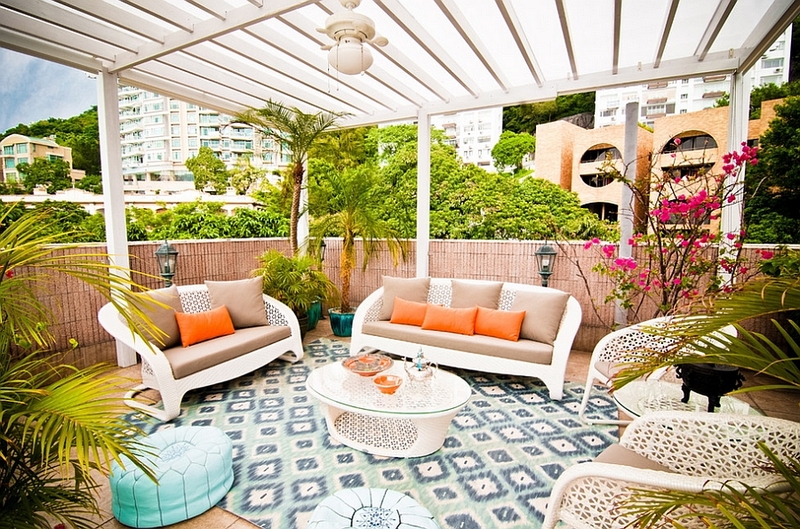 The Mediterranean style lets you bring in cool aqua, fashionable turquoise and pristine white instead! 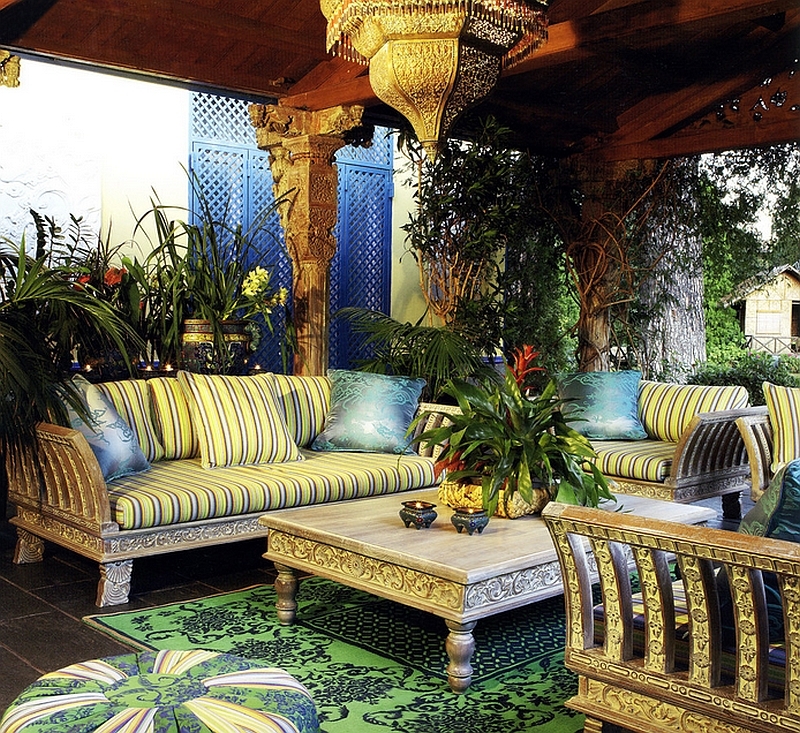 All you need is a hint of imagination to infuse Moroccan design elements into the patio with other exotic styles like Asian, Japanese and tropical. 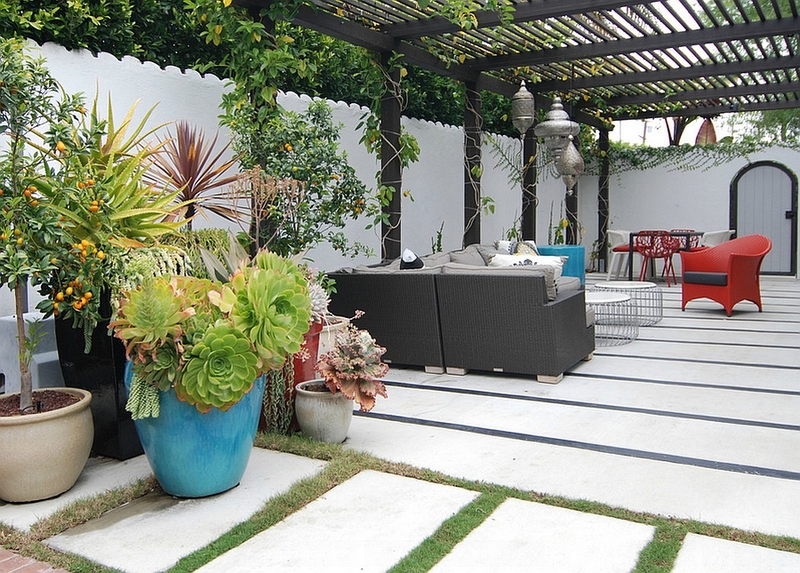 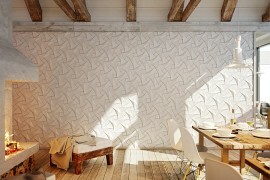 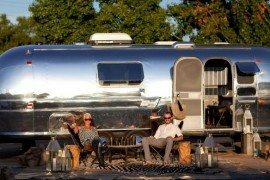 Most of these unique themes work very well in the patio, and since the outdoor landscape is detached from your interior, you need not always be worried about a continuity of themes and styles. 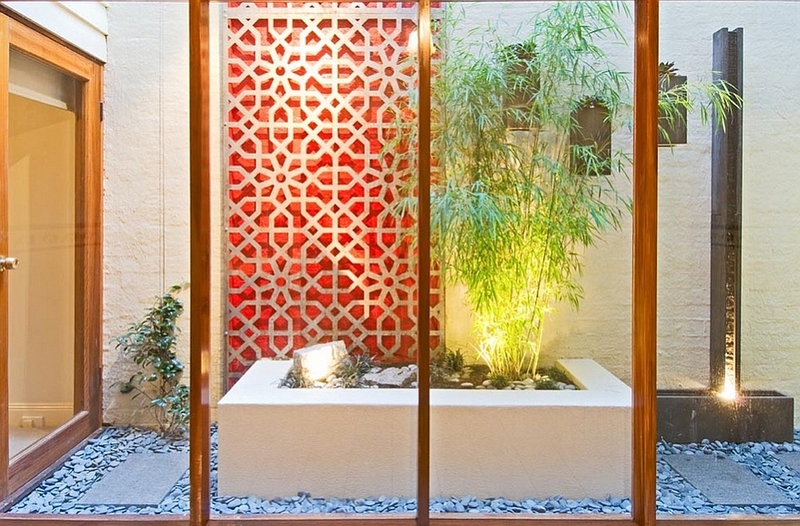 The use of natural bamboo and a more minimalist approach gives the patio an Asian-inspired look, even as you enliven it with festive Moroccan accents. 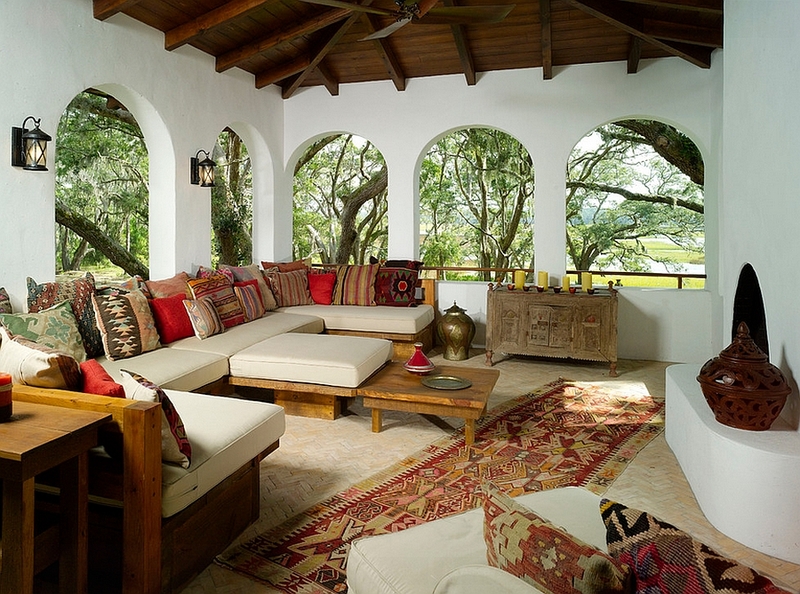 A tropical theme relies more on nature-centric design and bold prints, while you can use Moroccan lighting and rugs to add intrigue to the space. 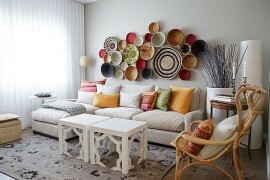 Versatile and beautiful, Moroccan-inspired decor is quickly becoming a staple in homes across the world. 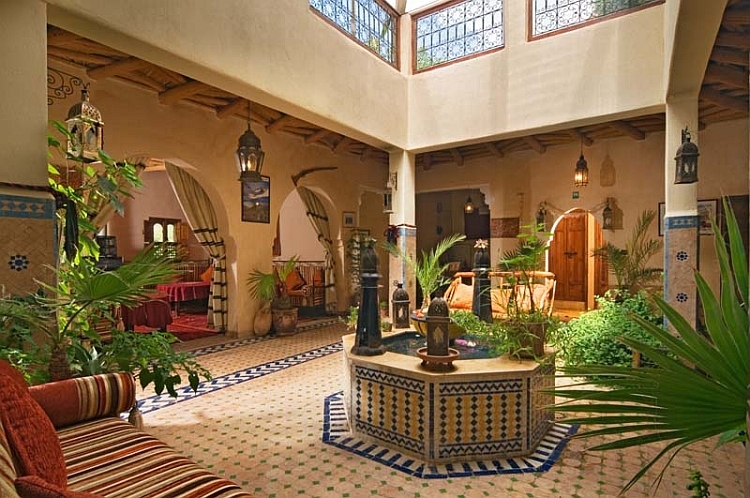 Even contemporary homes seem to be falling in love with the shiny ottomans and fabulous lamps that are shaped by the unique culture of this North African nation. 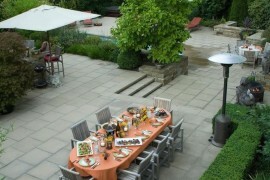 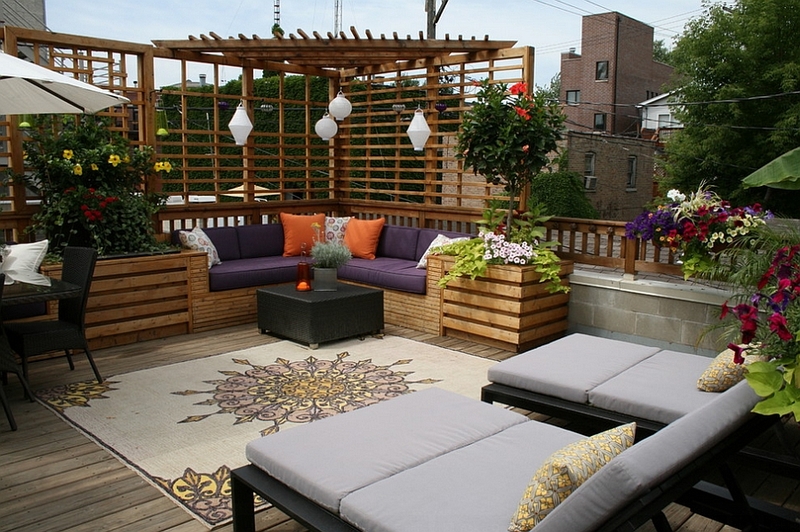 And your patio is the perfect place to let these additions shine while you enjoy a lovely summer and fall outdoors!